If you’re looking for an affordable small sedan or hatchback with a surprising amount of versatile interior space, then check out the lineup of used Nissan Versa models for sale near Glendale right now at Cactus Jack’s, your trusted Phoenix area used car dealership. The Versa is one of the most affordable used cars on the market today, though recent versions have been able to get up to 39 mpg highway and are offered with features like the Nissan Connect™ infotainment system. Stop in for a test drive to find out more today! Finance a Used Nissan Versa Near Avondale Right Now! 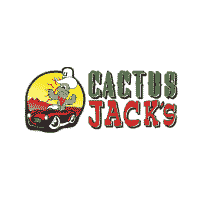 Every used car on the lot of your local Cactus Jack’s near Tucson has undergone a quality assurance inspection, and when you shop with us you’ll be able to take advantage of a number of different financial benefits, including only $500 down, a unique “Buy Here, Pay Here” policy, and a rotating selection of weekly specials. Stop by any of our dealership in greater Phoenix to check out all our used cars, including the Nissan Versa.